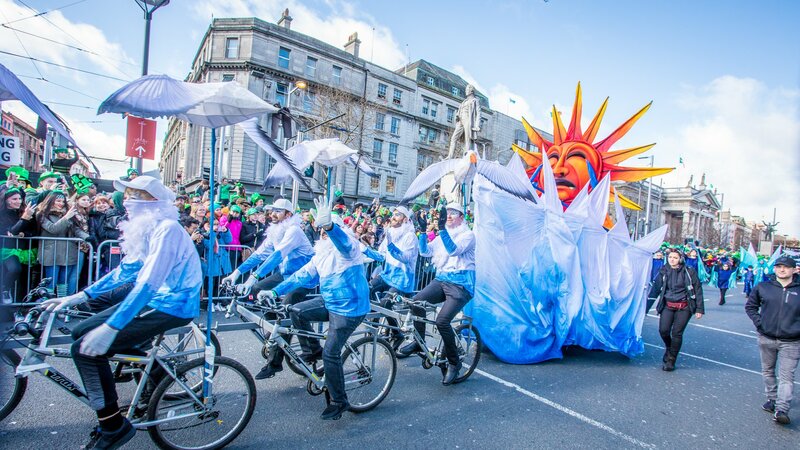 With years of experience creating parades across a range of different cities, we were delighted to be invited to create three of the lead-parade elements to this year's St Patrick's Day parade in Dublin. 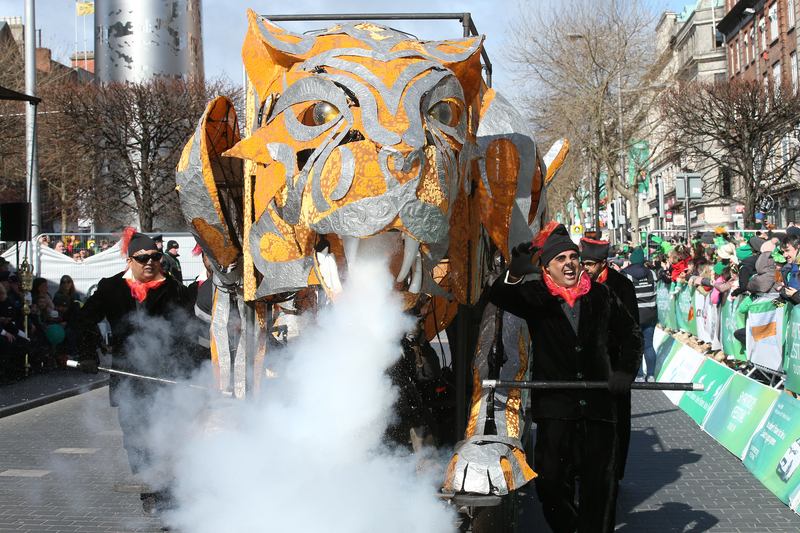 The theme behind our piece of work was environmental protection and saving the planet - given even more authenticity by the fact that pieces shown in this year's parade were re-purposed from Manchester Day 2018 the year before. 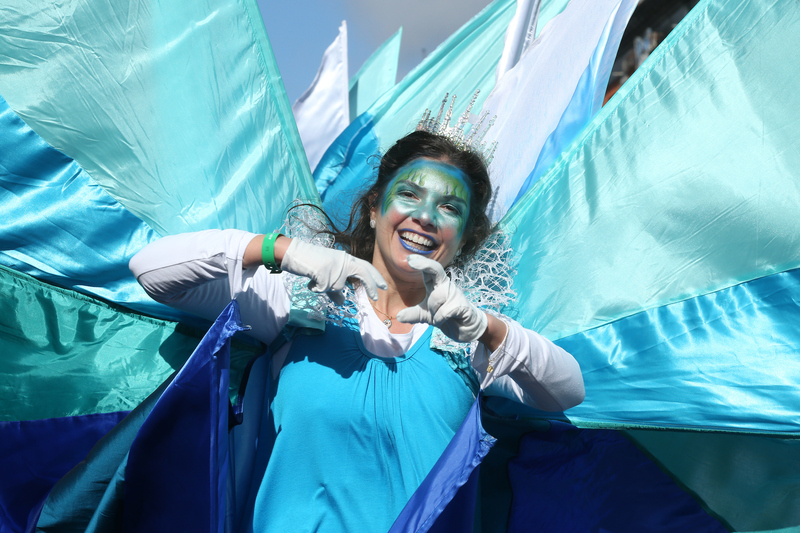 Sustainability and environmental responsibility are recurring themes in the arts and festival sector, both from a creative practitioner point of view and as a topic for engagement with audiences. So, this year's lead parade piece was a polar bear sitting on a melting ice cap. 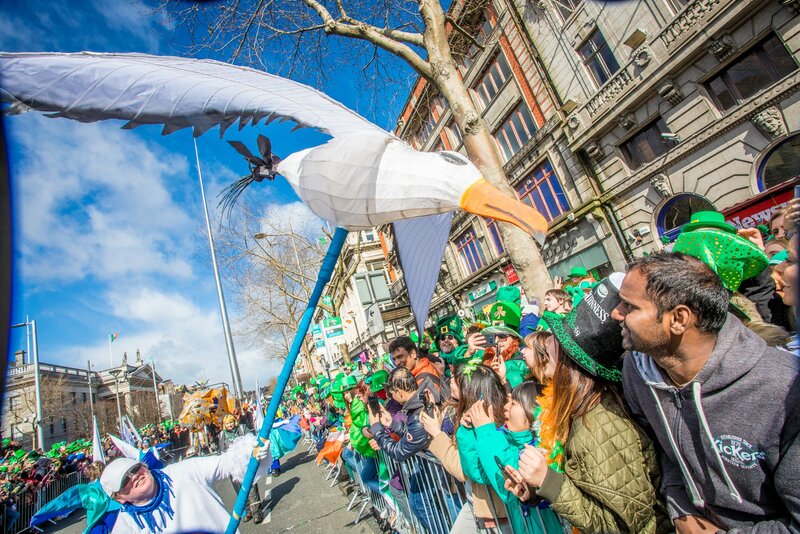 St Patrick's Day is an iconic and nationally significant day for the people of Ireland and its parade through Dublin (watched by Ireland's president from the VIP viewing area) gives a wide range of communities the chance to celebrate Irish culture and identity in many different forms. "Following our work in 2018 on the St Patrick's Day parade in Limerick it's great to be back in Ireland for another big parade. 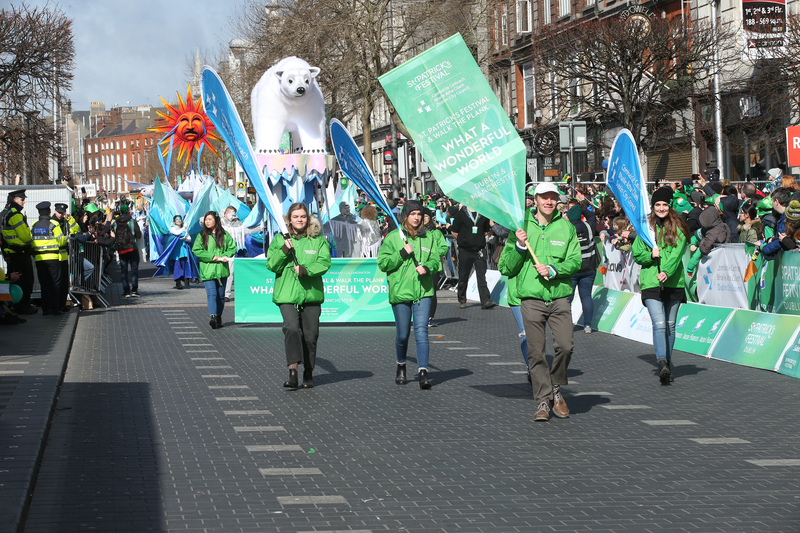 Irish people bring an incredible exuberance and love for their cultural heritage to events like this but it was great to be able to introduce the universal theme of environmental protection to this year's parade as its clearly an issue that resonates with people everywhere." Nick Clarke, Producer.